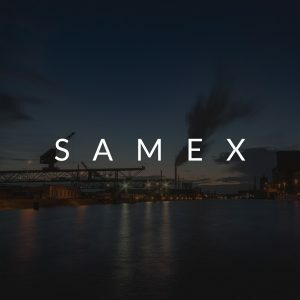 Samex was founded to provide software for import and export when the EU directive for export custom clearance was imposed. According to the directive all export reports must be done online. Samex provides companies modern SaaS-based software solutions for communication with the custom. SAM-e-service provides everything that company needs to create direct contact with all online services of the custom from their own systems. Supported by SAP, Microsoft, Visma, XML, EDI, Customs, Sonera and many more.